Offering freedom, flexibility & maximum diving experiences by Indonesia liveaboard on only the best dive sites in Raja Ampat. It took a little arm twisting (very little!) 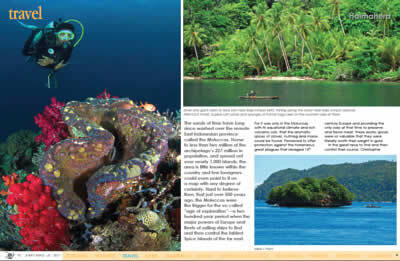 to enlist Don Silcock to join my team in Raja Ampat in 2012 & 2013. The match has been great so I asked Don to continue in 2014 and 2015. Don is a former guest on my City Seahorse trips in Raja Ampat and Sorong - Halmahera - Lembeh Strait, so he already had experience with the ship, the area, and how I run these dive trips. His first experience of the area was on a trip with us back in 2005! It was interesting see how he liked being on the service / giving end instead of the guest / receiving end of the organization for a change! He loved it and the guests loved Don! Originally from the north-west of England, Don lived in Australia for over 20 years and travels extensively in Asia as part of what he calls his "twin careers". His day job (the one that pays the bills) is with the US Corporation General Electric. 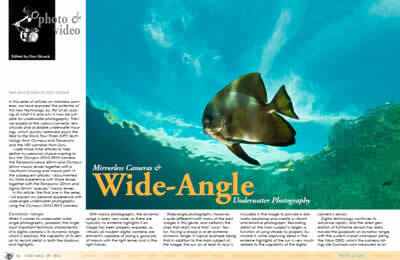 His second job, the more interesting of the two, puts his passion for dive travel and underwater photography to work. 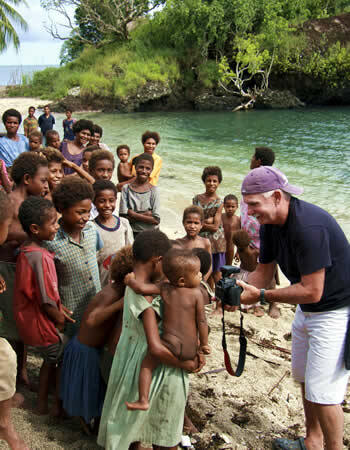 Don writes regularly for the web-based magazine X-Ray in Europe, the Australian magazine SportDiving and two local magazines in Papua New Guinea, plus he edits the Photo & Video section of X-Ray. Don uses the articles he writes, and the images he takes on his trips, to populate his website, which he is building into an on-line guide to the diving and underwater photography in the Indo-Pacific region. In 2013, Don built a house in Bali and moved there permanently (I have an invite!) so that he is closer to the tremendous diving in Indonesia, Don is very excited about joining City Seahorse trips again. If you would like some advice on underwater photography or image processing on the upcoming trips, Don is happy to help you. Don is replacing my regular assistant, Tony Matheis, to help with meet & greet at the airport, hotel & transfers, service aboard the ship, etc. Do you think I can get him to bring me coffee in the AM? :>) That is part of a photo pro job, isn't it? For more information or to sign up for a City Seahorse Uncommon Dive/Photo trip call Deb at 817-626-0636, or contact us via our request form. We'll help you plan your travel to Indonesia and take it from there! What Makes These Trips Special?